Strong As I Am! | Awesomeness For Awesome's Sake. 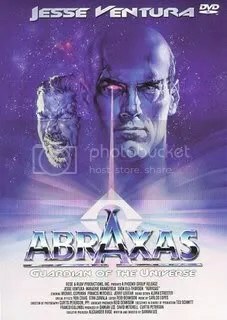 This morning I was doing some research on a possible MAN-UP MONDAYS candidate and I came across some sci-fi film I’ve never heard of…Abraxas, Guardian of the Universe! “What’s it about?” I wondered the same thing and found a plot synopsis at the good ‘ol Wiki! Say what? Answer box? Anti-Life Equation? It leaves me wondering how many more people can rip off Jack Kirby? It also leaves me wondering if there are any scenes of this possibly “so good it’s bad” movie on YouTube? Oh, and this movie also used “Strong As I Am” by THE PRIME MOVERS…which you totally remember from Michael Mann’s MANHUNTER! Well…that looks…uh…interesting? I wonder what happens next? Maybe some gratuitous slow motion face punching? Well…back to reality…gotta’ find that special man for tomorrow’s post. Looks to me Abraxas is a slow motion face puncher from outer space…but maybe he can play a mean space guitar or something. Thanks for keeping it in my “old man” time frame. Where’s the Iron Sheik when you need him? « The True History Of Flex Mentallo!